i’ve never used any makeup from topshop as i usually think you get what you pay for when it comes to cosmetics. also, i have sensitive skin so i tend to stick to brands i know won’t turn my face into a giant mess. nails, on the other hand, i’m easier with. 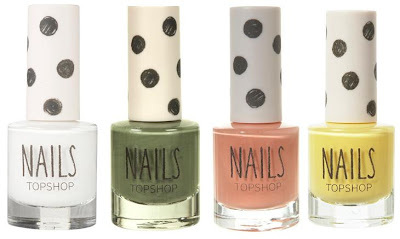 although nails inc are my favourite i do also like cheaper brands as posted before. barry m are usually my go to paint if i don’t have much cash (at £3 a go, you can hardly complain). 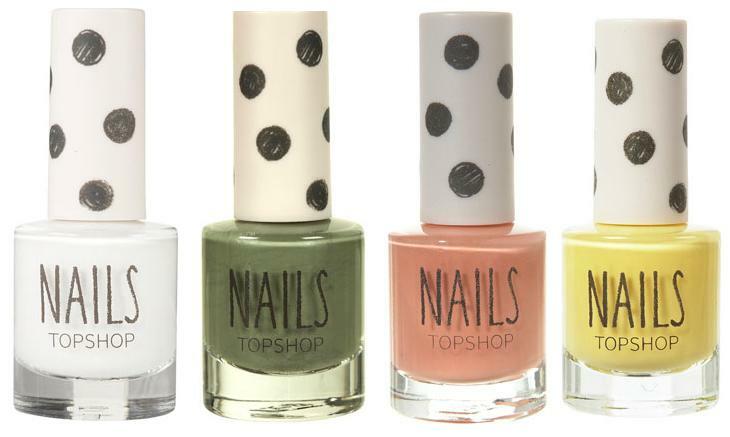 when i was shopping with my sister yesterday i went to topshop and the nail polishes really caught my eye. there were some really nice colours. i especially liked the pastel shades, but the ones above stood out to me. i think that green is lovely, the salmon colour would look nice on and the lemon yellow is very summery.